The recent influx of indie games into the mainstream consciousness has come as a welcome break in the monotony of the repetitive nature of the titles streaming out of the big publishing houses like so much turd from a burst sewer main. A trend that is on the increase for small perfectly formed titles appearing on Xbox Live, PS Store and in particular the Steam service is without doubt a great thing for the industry, moving away from the strenuous nature of target driven creativity from larger studios, removing the expectations and putting control of the project back into the hands of those who care for it most. One such title is currently available on Steam early access and is the subject of this review. 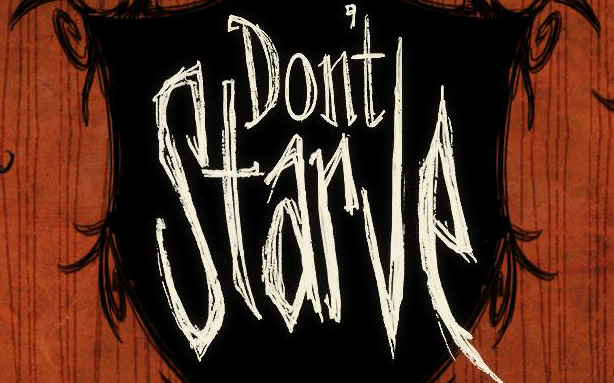 “Don’t Starve” from Klei Enertainment creators of “Mark of the Ninja” (another excellent indie title) is an artistic, open world take on the survival horror genre in which you begin playing Wilson a gentleman scientist who has been transported to a mysterious realm by a malicious man, known only as Maxwell, and must use his wits and all the resources he can gather in order to survive. The primary game mechanic essentially involves keeping your three bars full, health, sanity and hunger if any of those reach zero it is pretty much game over for poor little Wilson. This idea may sound familiar and this game is built somewhat in the Minecraft survival mold with collecting, crafting and building being an essential part of survival in a randomly seeded world. This is not to say this game is not original, it spins the idea completely on it’s head and creates a world that feels far more foreboding than it’s blocky counterpart. Once you finally manage to master feeding yourself and staying alive by staying in lit areas at night, you are met with another challenge…. not going insane. I haven’t dropped into the realms of pure madness yet but the few glimpses I have seen of the world of insanity are ridiculously creepy and very disturbing. 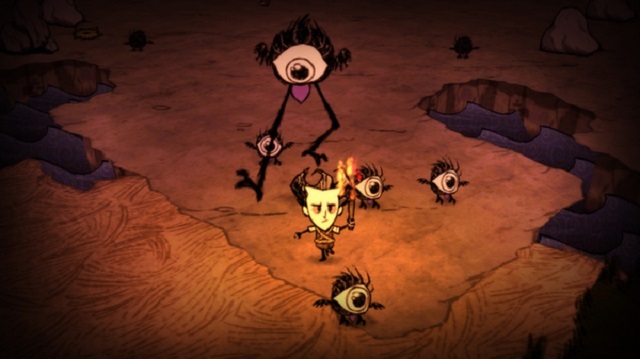 The art style is really something to behold here, looking like something from the mad mind of Tim Burton in a world somewhat reminiscent of the brilliant ToeJam and Earl in weirdness and perspective, you will feel immediately drawn into the world by the environment, the sounds and your desire to survive will be pushed to the limit by the crazy creatures and terrifying atmosphere. 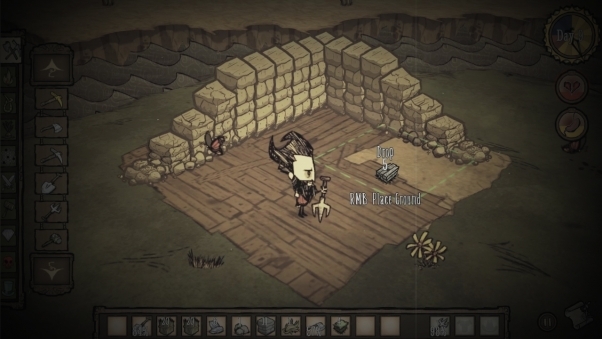 My first attempt at survival ended when I angered one such creature, most enemies are fairly easy to avoid and will give up the chase before too long so I leisurely strolled away from my pursuer and having put what I thought was enough distance between myself and him I settled down for the night by my fire pit. As I messed around with some crafting for a while suddenly there was an unfamiliar sound on the peripheral of my hearing. Thinking nothing of it I continued to craft but the sound got louder and louder until a monstrous vision appeared in the circle of my fire light, the beast had returned. This kind of development in the game constantly keeps you on your toes as the behavior of enemies is never predictable, something which should be well heeded by more practiced developers. 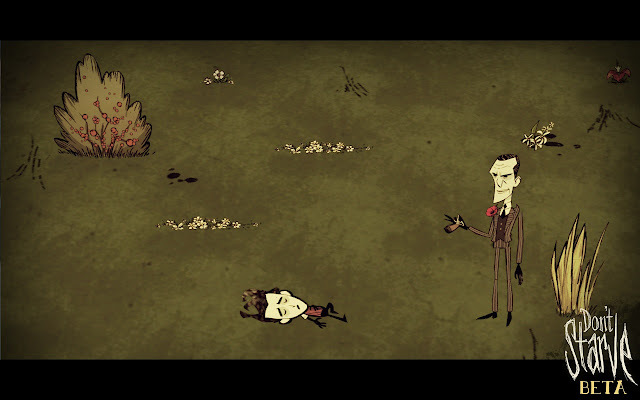 All in all this game is well worth it’s reduced price on Steam and I am really looking forward to throwing myself deeper into helping along Wilson in his survival. 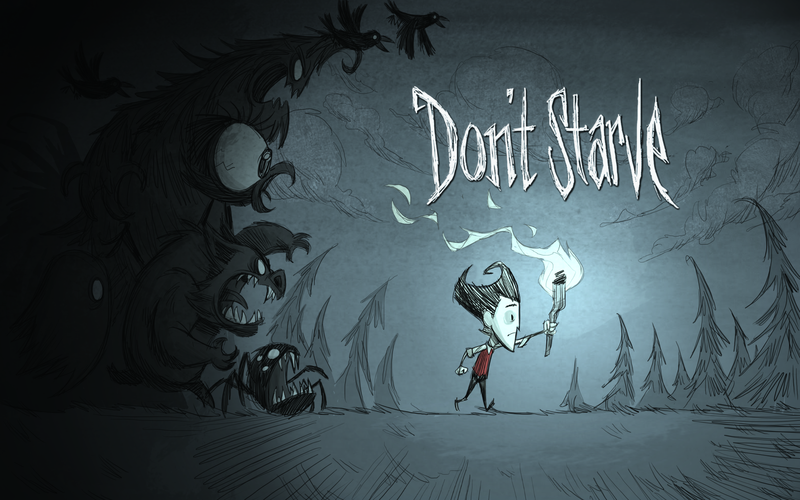 So pick it up, play it, let me know what you think and most importantly …… Don’t Starve. Feel free to recommend any other indie titles you may have been absorbed by and I will happily give them a go. This entry was posted in Gaming, Indie, Survival, Tech and Gaming Procrastination and tagged Building, Crafting, Don't Stave, horror, indie game, klei, PC, steam, survival by eremenko. Bookmark the permalink.